Flow measurement has a history of about 3000 years. It has been studied only in the last 200 years and in the last 30 years all the new techniques have evolved. There is now a wide variety of methods available to measure the flow of liquids, solids, gases and vapours. The actual velocity of the fluid at a given point (measured in metres per second). The volume rate of flow (measured in metres cubed per minute). The mass flow rate (measured in kilograms per second). It is also possible to measure total flow which is the total volume or mass which has flowed in a set time period. Production Planning ;- the quantities of product supplied to customers generally vary according to seasonal demand. Usually an average rate of production is planned on a calendar day which takes into account any periods of shutdown necessary for maintenance and inspection. Product Quality ;- flow controllers are necessary in the proportional blending of intermediate products to produce on-specification finished products of consistent quality. 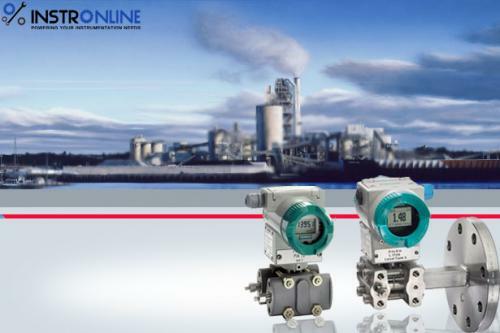 Control of Process ;- sometimes flow meters are used for control of some other main process variables. Examples in Separator column, liquid levels are kept constant by varying the flow rate of the process in columns are also kept constant by varying the flow rate of the process fluid passing through them. Pressure in column are also kept constant by varying the flow rate of the cooling medium . Flow is defined as fluid (liquids or/and gases) in motion. the velocity of the fluid. the friction of the fluid in contact with the pipe. the viscosity of the fluid. the density of the fluid. Fluid velocity depends on the head pressure which is forcing the fluid through the pipe. The greater the head pressure, the faster the fluid flow rate (all other factors remaining constant), and consequently, the greater the volume of flow. Pipe size also affects the flow rate. For example, doubling the diameter of a pipe increases the potential flow rate by a factor of four times. Pipe friction reduces the flow rate of fluids through pipes and is, therefore, considered a negative factor. Because of the friction of a fluid in contact with a pipe, the flow rate of the fluid is slower near the walls of the pipe than at the center. The smoother, cleaner, and larger a pipe is, the less effect pipe friction has on the overall fluid flow rate. Viscosity (η), or the molecular friction within a fluid, negatively affects the flow rate of fluids. Viscosity and pipe friction decrease the flow rate of a fluid near the walls of a pipe. Viscosity increases or decreases with changing temperature, but not always as might be expected. In liquids, viscosity typically decreases with increasing temperature. However, in some fluids viscosity can begin to increase above certain temperatures. Generally, the higher a fluid’s viscosity, the lower the fluid flow rate (other factors remaining constant). Viscosity is measured in units of centipoise. Another type of viscosity, called kinematic viscosity, is measured in units of centistokes. It is obtained by dividing centipoise by the fluid’s specific gravity. Density (ρ) of a fluid affects flow rates in that a more dense fluid requires more head pressure to maintain a desired flow rate. Also, the fact that gases are compressible, whereas liquids essentially are not, often requires that different methods be used for measuring the flow rates of liquids, gases, or liquids with gases in them. It has been found that the most important flow factors can be correlated together into a dimensionless parameter called the Reynolds Number.